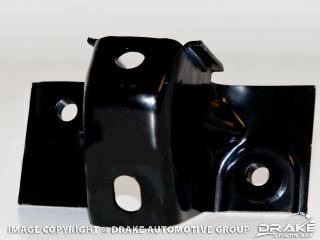 Replace your rusted, bent, or missing rear bumper brace with this concours quality 1964.5-66 Mustang Rear Bumper Brace. Stamped steel and painted black exactly like original; perfect for a show quality restoration. Sold individually. 2 Required.